After all the prickles were out, we decided to make jelly... ooohhh how i love prickly pear and peanut butter sandwiches. 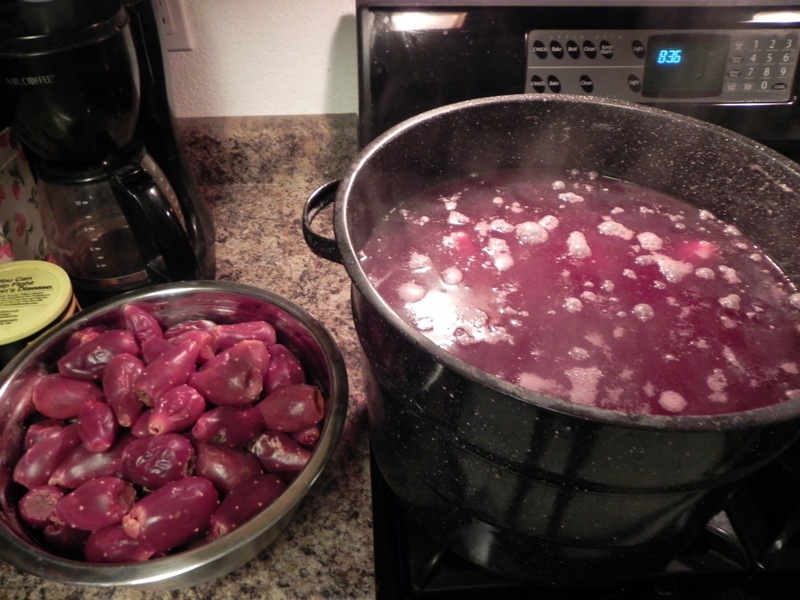 So I carefully poured the pears into my canning pot and boiled for about 10 min. Then took about 5-8 of those little suckers and blended them up in my blender. 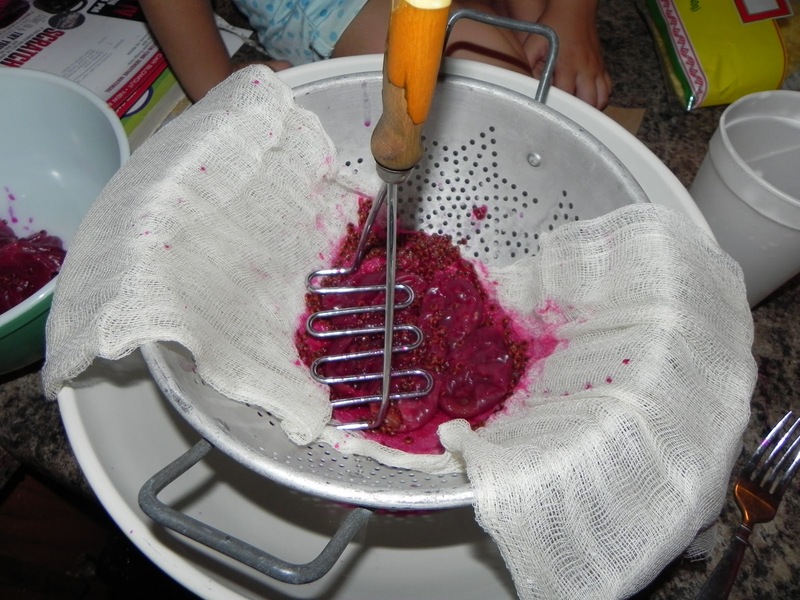 Then poured that into a strainer lined with several layers of cheese cloth, and pressed out the juice with a potato masher and just picking up the cheese cloth and squeezing the dickens out of it. 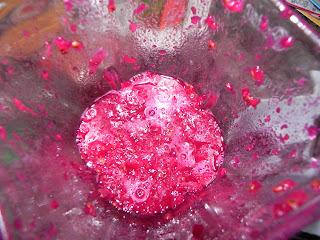 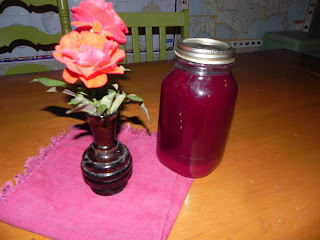 Then you have beautiful fuchsia colored juice to make jelly or make prickly pear margaritas... (i canned the jelly using the water bath and the instructions from the pectin package)although this time, it didn't set up as well as it did last year, and its more like syrup, so i may try and redo it or just use it as syrup.... so happy canning!! !